Since 1968, SWED has worked diligently toward strengthening our local economy through the preservation and creation of productive employment opportunities. While our vision is forward, our past is not forgotten. The following events have helped shape the economic landscape of Wicomico County today. 2017 – 2018 SWED closed the reporting requirements and overall project associated with Wicomico County’s $500,000 conditional loan from Maryland Commerce for the retrofit and renovations to Piedmont Airlines’ headquarters and maintenance hangar complex. Also in partnership with Maryland Commerce, SWED added $100,000 in capital to its Business Expansion Fund, a fund that exists to provide gap financing to new and expanding businesses in Wicomico. In partnership with Salisbury University, The Athlete Academy won this year’s SWED Award during the entrepreneurship competitions in association with the Perdue School of Business. SWED assisted Toroid P&H in the firm’s acquisition of some assets of RDI Wire and Cable and helped the principals in the establishment of a metal fabrication training center, similar to the very successful welding school established by a sister company, Arcon Welding. 2016 – 2017 RDI Wire and Cable, Inc., Al-Tech Associates and Toroid P&H LLC all began operations this past year and together, project one hundred fifty new jobs in manufacturing cable harness systems for commercial and military customers. SWED assisted Seaford, DE based Craig Technologies in its acquisition and merger with MSI, Inc. of Salisbury. The combined company, a precision machine corporation is based in Salisbury and anticipates one hundred new jobs in the coming years. We also finalized a lease with Piedmont Airlines regarding the former terminal building at the Salisbury Regional Airport which is now home to Piedmont’s operations center and an expanded workforce. In support of Salisbury University’s business plan competitions, our SWED Award this year went to Neuro Helmets, LLC, a start-up company targeting motorcycle safety. We released our third video which showcases agriculture in Wicomico County, updated our monthly statistical newsletter, presented to numerous community groups throughout the year, held general and annual membership meetings and participated with Wicomico County officials in rating agency presentations. 2015 – 2016 Quality Linen Service expanded their operations in Westwood Commerce Park by adding 20,000 sf to its existing facility. SWED assisted the company with financing and tax credits via the Enterprise Zone program. Quality Linens anticipates adding forty new jobs. With Maryland Department of Commerce representatives, assisted Trinity Sterile, Plymouth Tube and Perdue Foods with international initiatives. We were pleased to finalize a hangar complex lease with Piedmont Airlines and brokered a new lease for the company for space within the former airport terminal building. The company anticipates adding approximately twenty to twenty-five new jobs as regional jets are merged into its existing fleet of Dash 8’s. We assisted RDI Wire and Cable in the company’s plan to bid on various cabling work in the commercial and military markets and helped Al-Tech & Associates locate a new manufacturing operation to Salisbury. Al-Tech is a wire distributor located in Columbia Maryland that provides wire and cable harness assemblies to a wide variety of customers in both commercial and military markets. Through the SWED Business Expansion Fund, we assisted PAXSTAR Logistics in its startup via site selection, tax credit programs and financing. PAXSTAR located its offices to downtown Salisbury and anticipates employing approximately one hundred fifty people at full build-out. 2014-15 We welcomed this past year TriPro Technologies and Rubber Soul Brewing and assisted AhPharma Food and Safety Products in a tech-transfer initiative. Rubber Soul Brewing is the latest entrant into the craft brew market and we were pleased to help broker financing that allows the company to can and distribute its product through-out the Mid-Atlantic region. Through the Southern Eastern Shore Revolving Loan Fund, we brokered a loan to AhPharma for the production of a new LED fixture for poultry houses. We were pleased to continue our assistance to Cadista Pharmaceuticals as the company nears completion of its $20 million (100,000 sf) expansion that is adding approximately two hundred-fifty new manufacturing jobs to our community. SWED partners along with Wicomico County and the State of Maryland in finalizing leases for the terminal building and hangar complex associated with Piedmont Airlines and brokered nearly a million dollars in recent renovations to the complex which serves as Piedmont’s headquarters and maintenance base. In addition we were pleased to secure $25,000 in training funds for PolyOne Corporation. 2013-14 Tishcon Corporation expands its Northwood manufacturing plant and LWRC and MaTech Solutions continue to make new investments in plant, property and equipment. SWED brokers a loan to Cropper Brothers Lumber Company in Willards as the firm installs a second kiln, leading to more throughput and ultimately, more jobs. SWED assists Leverage Mobile with initial funding as the start-up technology firm helps companies connect back office operations to mobile devices. 2012-13 Cadista Pharmaceuticals breaks ground on a 100,000 s.f., $20 million addition to the firm’s Northwood Industrial Park plant. The expansion is expected to add several hundred new manufacturing jobs over the next five years. SWED secures funding from Maryland’s Department of Business and Economic Development for renovations to the hangar complex of Piedmont Airlines. The complex is home to Piedmont’s corporate headquarters and a large maintenance base. SWED assists AHPharma Food Safety Products in a tech-transfer agreement with the U.S. Department of Agriculture in Beltsville MD to license, market and manufacture a bacteria detecting device. 2011-12 Coastal Linens and Bennett Construction complete construction of new facilities while Evolution Craft Brewing renovates and begins operations in the former 22,000 s.f. Reddy Ice building. SWED partners with the Wicomico County Airport Commission toward the development of a strategic plan for the airport and assists the City of Salisbury in pursuing recertification of the Salisbury-Wicomico County Enterprise Zone. 2010-11 SWED brokers an exchange of space between HBCS and The Knowland Group allowing for better suited space for both companies. Coastal Linens, Inc. established a new industrial laundry facility in Westwood Commerce Park and caused the construction of a new 9,500 s.f. facility. 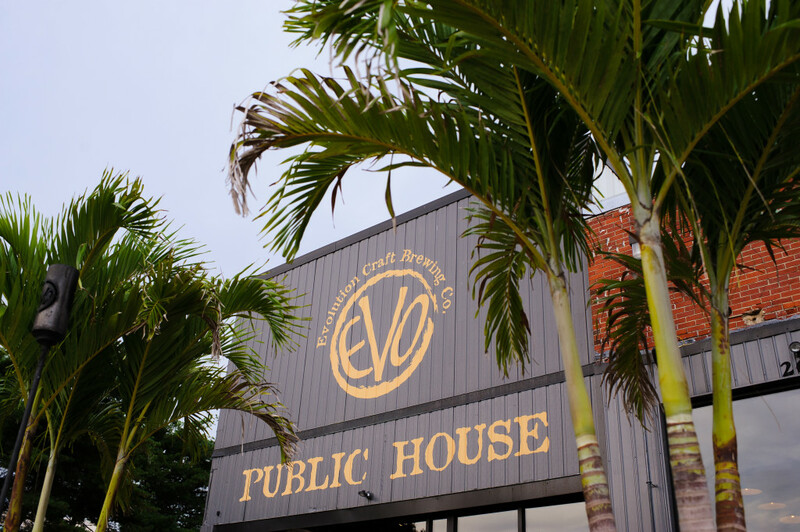 SWED assisted Bennett Construction and Evolution Craft Brewery toward planned expansions in 2012 for both firms. 2009-10 SWED assists Marvel Investments LLC in its acquisition of the 66,000 s.f. former Silverton Marine plant in Northwood Industrial Park. Marvel plans to renovate the facility into a medical manufacturing plant and subsequently lease to Trinity Sterile, a growing manufacturer of medical products currently located in Northwood Industrial Park. Sixty new jobs are anticipated. SWED also partnered with the Wicomico County Airport Commission and USAirways Magazine on a July 2010 article in the magazine featuring Salisbury. The in-flight magazine has a circulation of approximately 3.5 million. 2008-’09 Isotek Electronics, Inc., a provider of wireless components to Original Equipment Manufacturers and Network Operators began its business in Salisbury’s Northwood Industrial Park. Genevieve Holdings LP purchased the former 40,000 s.f. Americhem plant with plans to lease much of the facility to Trinity Sterile, a local manufacturer of medical kits for the health care industry. The Knowland Group, having located here two years ago, continued its growth with the addition of twenty-five additional jobs. 2007-’08 Hospital Billing and Collection Services (HBCS), based in New Castle Delaware, locates to a new facility on Northgate Drive in Salisbury. HBCS is a leader in the healthcare receivables management industry. With 28,000 square feet, they anticipate at least 50 jobs by September, and 175 – 200 jobs over the next few years. HBCS was formed to provide a nationwide group of not-for-profit hospitals with those billing and collection services that benefit from economies of scale, advanced technology and specialized expertise. 2006-’07 The Siesta Group, a sleep software development company, begins operations at the airport, while The Knowland Group, an internet-based “reader board” service targeting the hospitality industry, relocates to Salisbury. SWED brokers a loan through the Southern Eastern Shore Revolving Loan Fund (SES-RLF) to Navtrak, Inc., a GPS product and service provider for fleet vehicles. With the help of Wicomic County Public Works, SWED assists Ferguson Enterprises, a plumbing/heating distributor, with their location to WestWood Commerce Park. 2005-’06 SWED supports House Bill 399, allowing more flexibility to local jurisdictions in creating and expanding enterprise zones. With financing and permitting assistance from SWED, Harvard Custom Manufacturing (HCM) announced plans to expand the company’s current facility and add approximately two hundred new jobs. In partnership with the Wicomico County Airport Commission, SWED establishes a business incubator in the former terminal building and helped secure funding for the renovation from the Federal Aviation Administration, the Maryland Aviation Administration, Md.’s Department of Business and Economic Development and the Airport Commission. SWED assists Ameriscan, a “start-up” GPS company founded by a recent graduate of Salisbury University, in locating to the incubator at the airport. SWED assists the City of Salisbury and Wicomico County in efforts to expand the existing enterprise zone to include WestWood Commerce Park and arranged a presentation from the Maryland Industrial Development Financing Authority (MIDFA) to area bankers and loan officers. SWED assists in the establishment of an Arts and Entertainment District in Salisbury’s Central Business District. 2004-’05 SWED was instrumental in assisting Sklar Instruments in its merger with Trinity Labs, creating Trinity Sterile and retaining 55 jobs. SWED assists MaTech, Inc. in its site search, permitting, and expansion into a 150,000 sq ft facility in Northwood. SWED also assists Perdue Farms, Inc. in locating a site for a new corporate hangar, developing lease terms, and assisting throughout the permitting process. SWED accepts a lead role in working with developers of the Salisbury Mall property toward a Tax Increment Finance agreement. Perdue Farms renovates a manufacturing plant in Northwood into an “Innovation Center,” a state-of-the-art research and development facility. 2003-’04 Germane Tool, a precision machine shop, relocates from West Chester, PA. SWED assists Filter Networks in its site search and other related “start-up” issues. SWED initiates and promotes a “Technology Partnering Showcase” in conjunction with TEDCO at Salisbury University. Through the Maryland Economic Adjustment Fund, SWED capitalizes an additional $100,000 to the SWED Business Expansion Fund. SWED assists Century Seals in the firm’s acquisition of Finishing Technologies, Inc.
2002-’03 Cambrex chooses Northwood for a bio-tech manufacturing facility. SWED establishes a new $406,000 revolving loan fund for business development. 2001-’02 Helvoet Pharma purchases Wheaton PharmaTech, retaining two hundred manufacturing jobs in the Northwood Industrial Park. Bar None, Inc. purchases the local assets of The Order People, retaining one hundred fifty jobs. Silverton Marine announces plans to purchase the former Webcraft plant creating one hundred seventy-five new jobs. VPI Mirrex expands its Northwood facility, adding thirty-five new jobs. In conjunction with the Airport Commission and with the help of several SWED members, SWED creates a “schematic vision” for future development of the Air Business Center. 2000-’01 K&L Microwave purchases and renovates the former Eaton facility. Lorch Mircrowave constructs an addition to its current facility. Eastern Wireless TeleComm begins manufacturing microwave filters in the Northwood Industrial Park. The former Chris Craft plant is sold for the fourth time in 33 years. 1999-2000 Arcon Welding, LLC begins manufacturing portable arc welding machines in Northwood. Rail service is retained along Mill Street thanks to a creative financing package and a unique partnership between SWED, the City of Salisbury, Norfolk-Southern, MDOT, and rail users. 1997-’98 ThermoLyte Corporation of Waltham, Mass. begins manufacturing operations in the former terminal building at the Salisbury/Ocean City: Wicomico Regional Airport. SWED, along with eight Eastern Shore counties, produces a CD-ROM, highlighting business attributes of the Eastern Shore and each county. The Kiplinger Washington Letter mentions that Salisbury is “drawing smaller, high-tech businesses” in its February 20, 1998 edition. 1996-’97 ClearComm Technologies and Custom Cable Solutions begin new manufacturing operations in Wicomico County. Cape May Foods purchases Nanticoke Foods, retaining 75 jobs in Nanticoke, Maryland. 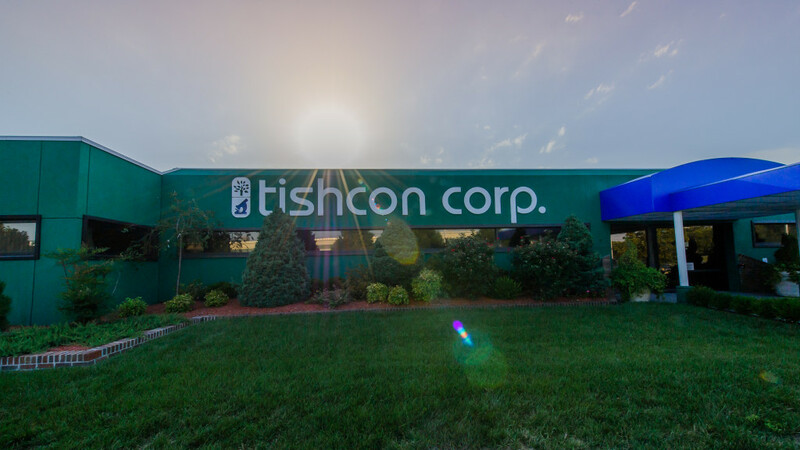 Tishcon Corporation relocates a New York division to Salisbury and purchases the former Sears Warehouse building on Brown Street. 1995-’96 Filtronic Comtek moves into its new 80,000 sq. ft. U.S. manufacturing plant and headquarters and now employs over one hundred fifty personnel. Shoreland Freezers, Tishcon, and Trinity Labs commit millions of dollars for new warehouse and manufacturing space. Piedmont/U.S.Air Express opens its new engine testing facility at the Salisbury-Wicomico Regional Airport generating new jobs and strengthening maintenance operations. Rafael Correa, President of Machining Technologies, wins Maryland’s Small Businessman of the Year award. 1994-’95 Lorch Microwave relocates from Florida to Salisbury. Salisbury Technologies (now Harvard Custom Manufacturing) purchases the former Grumman plant, retaining eighty-two jobs while projecting one hundred more in the next few years. 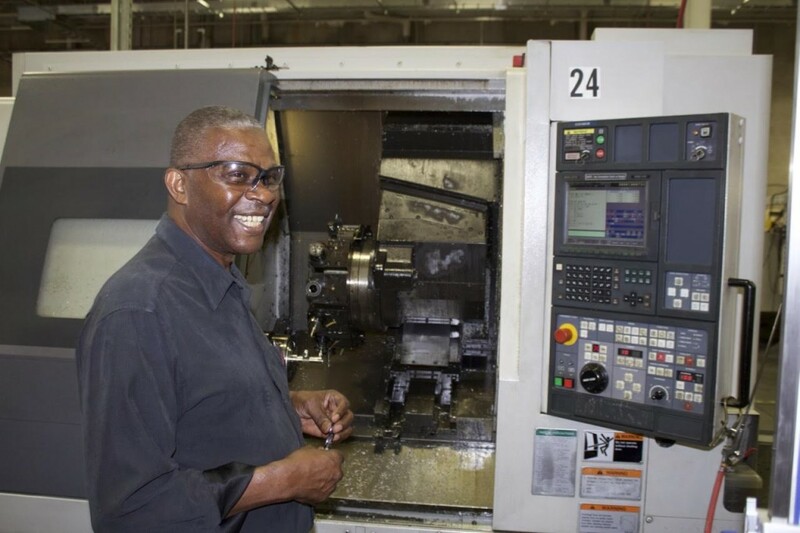 Ma Tech turns a former sweet potato warehouse into a state of the art machine shop in Hebron. 1993-’94 Field Container, a manufacturer of folding cartons, purchases Wicomico County’s 100,000 sq. ft. inventory building while Royal Quality Foods begins a beef processing business in the former Campbell Soup plant. RelComm Technologies begins a new relay switch business in Northwood. Data Services constructs a new facility in Winterplace Park and CallCenter on its 42,000 sq. ft. telemarketing center. SWED, in conjunction with Wicomico County, UMES, and the EDA establishes a $1 million revolving loan fund for industrial development. 1992-’93 Campbell’s Soup closes operations in Salisbury eliminating nearly 800 jobs. At the same time, Grumman Aerospace announces plans to close its Salisbury plant eliminating over 500 jobs. Filtronic Comtek locates in the former terminal building at the Salisbury-Wicomico Regional Airport. 1991-’92 Nanticoke Homes, a manufacturer of modular housing purchases the former ConDiesel plant, while Wicomico County begins construction of its second inventory building. The national economy enters a recession largely due to defense cutbacks associated with changes in the Soviet Union and other foreign economies. 1990-’91 U.S. Marine builds its 1,000th yacht, MaTech doubles its workforce, and 66,000 sq. ft. of office/ industrial/ warehouse space is built by Northgate Development along Naylor Mill Road. CallCenter Services reaches 200 associates while Eaton Corporation employs 300 people. 1989-’90 Tishcon Corporation, a manufacturer of vitamins and dietary supplements, completes its 70,000 sq. ft. plant in Northwood. Under construction is the Regional State Office Building. SWED proposes a second inventory building of 100,000 sq. ft.
1988-’89 Salisbury welcomes Machining Technologies (precision machining), Toroid Corporation (transformers) and CallCenter Services (telemarketing). Foot Management opens a facility in Pittsville. 1987-’88 Imperial Cup Corporation purchases Wicomico County’s 79,696 sq. ft. “inventory” building, creating fifty new jobs, while Ford Laboratories (Trinity Labs today) completes its 80,000 sq. ft. facility along West Zion Road. The CPI percentage change from 1986-1987 was 1.9%. 1986-’87 Over 200,000 sq. ft. of industrial space is added by K&L Microwave, U.S. Marine, and Coaxitube generating over 250 new jobs. Federal Express constructs a plant in the new Air Business Center while a new terminal building has been approved for funding at the Salisbury-Wicomico Regional Airport. construction in Northwood. SWED and local approval for funds to construct a 79,696 sq. ft. inventory building. 1984-’85 Grumman Aerospace projects 300 new manufacturing jobs as the company selects Salisbury for its new electronics and cabling operations at the former Manhattan Shirt Factory. IPC Corporation (now Helvoet Pharma) announces the construction of two new plants in Northwood. Enterprise Zone benefits are extended from five to ten years. 1983-’84 SWED links its office computer to a worldwide master industrial plant location file operated by the IDRC (Industrial Development Research Council). Work begins on the establishment of the Air Business Center at the Salisbury-Wicomico County Airport. 1982-’83 Wicomico County, the City of Salisbury, and SWED team up to obtain Maryland’s largest enterprise zone, consisting of some 2,100 acres. Heinemann triples its manufacturing space by building a new 48,000 sq. ft. plant in Northwood. Governor Hughes announces a new 90,000 sq. ft. state office building to be located in Salisbury’s central business district. 1981-’82 Perdue Farms, Wicomico County’s largest manufacturing employer, doubles its corporate headquarters and expands its processing plant adding hundreds of new jobs. Henson Airlines adds ninety new jobs and is recognized as the “Regional Airline of the Year” by Air-Transport World. Viskon-Aire relocates from New Jersey to Salisbury in a 70,000 sq. ft. plant in Northwood. 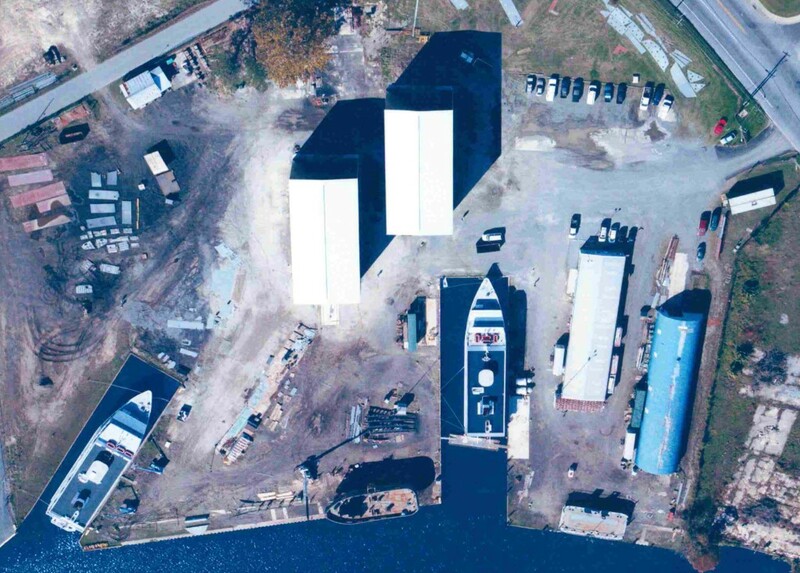 1980-’81 Chesapeake Shipbuilding purchases Roberts Shipyard on Fitzwater Str eet and begins constructing the “America,” a 180′ cruise ship. Plymouth Tube with headquarters in Michigan, begins construction on a 70,000 sq. ft. specialty tubing plant in Northwood. The Consumer Price Index percentage change from 1979-’80 is 13.5%. 1979-’80 SWED assists with the formation of Salisbury Pewter, helps Heinemann Electric locate a manufacturing facility, and works with Chesapeake Corporation in the establishment of a hardwood processing facility in Wicomico County. 1978-’79 Gregg Shirt Makers expands one of two plants in Fruitland while Delmar Sportswear locates in Delmar. Richard Bernstein, founder of K&L Microwave, wins Maryland’s Small Businessman of the Year award. 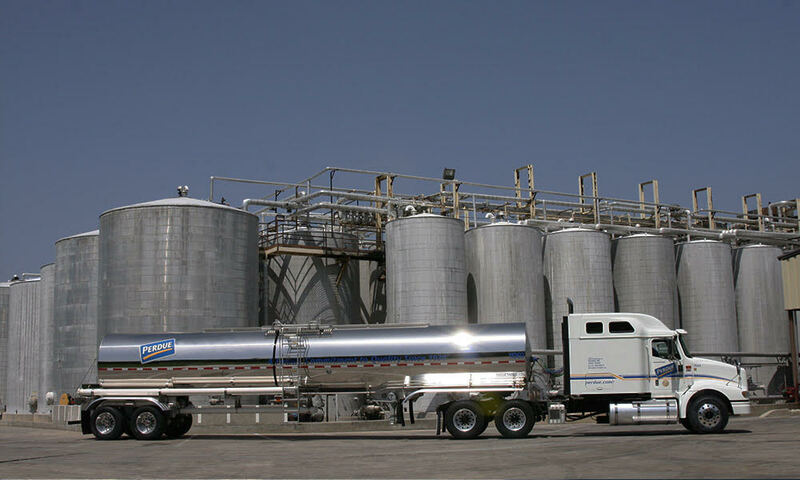 1977-’78 Condec Corporation acquires the former Open Roads/Chris Craft plant for its ConDiesel division. Duo Sofa, Inc., a division of Maryland Bedding Corporation (better known as Sealy, and later as Ellis Home Furnishings) announces plans to construct a 150,000 sq. ft. factory in Northwood. Middle Atlantic Printing and Chilton Publishing begin plant construction in Northwood. 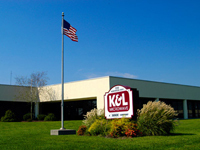 1976-’77 K&L Microwave triples its manufacturing space to 16,000 sq. ft. Roadway and AAA Trucking locate terminals in Salisbury. SWED institutes a monthly newsletter, conducts a labor survey and produces a community profile brochure. 1975-’76 D&F shirt factory opens on East Main Street as Wooten Welding completes construction of its facility in Northwood. Marketing efforts begin in earnest to fill the vacant Open Roads plant. Seven new firms open operations in the Industrial Apartment Complex, including Good Electronic Company, Salisbury Special Tools, and Maryland Clarklift, Inc.
1974-’75 “Energy-Economics-Environment-Inflation-Recession are terms that were not well understood by many Americans just a few years ago” is the opening line in SWED’s seventh annual report. SWED assists the Manhattan Shirt Company (350 employees) in the sale of the business to a newly formed group called the Salisbury Manufacturing Co. Inc. Open Roads Industries announces its plant closing. 1972-’73 “Business Week” publishes a feature article entitled “Business Discovers a Tri-State Peninsula.” Burroughs Corp. and Georgia Pacific announce plans to construct a $6 million and $2.5 million plant, respectively. 1971-’72 Open Roads Industries of Redondo Beach, California, a manufacturer of recreational vehicles, purchases the former Chris Craft plant. SWED obtains a 001 designation from the SBA giving our community priority on direct SBA loans under $25,000 and 10% instead of 20% down on 502 local development corporation loans. 1969-’70 Firestone announces plans to build a $2.5 million plastics factory in Northwood. Chris Craft announces its impending plant closing at Moss Hill Lane. 1968-’69 SWED opens corporate offices and prepares a thirty page brochure for the Northwood Industrial Park. SWED places its first advertisement in “Industrial Property Guide,” July,1969.